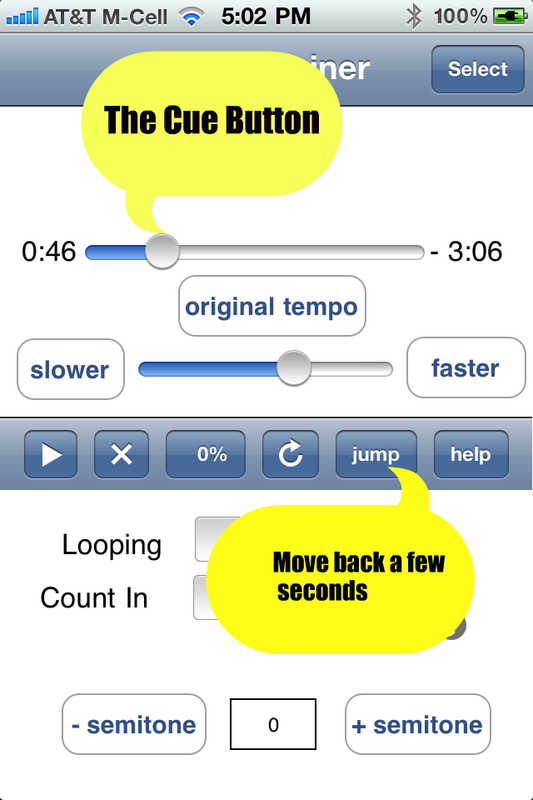 Both the Phrase Editor and the Main (Home) Screen allow you to move quickly through a song. You can move the "Cue" button before or during play back to fast forward or rewind. If this is section of a song you want to loop or work with more than once or twice, it is probably better to take a little extra time and define a phrase.